Pieter-Jan De Pue’s documentary, The Land of the Enlightened, blends in fictitious elements, as its description purports. The Land of the Enlightened shows how certain groups in Afghanistan lead their lives while the presence of American soldiers lessens but still taints the national pride of Afghanistan. The film principally follows preteen boys led by Gholam Nasir as they spark deals with caravans, trading bullets for lapis lazuli or opium—or they ambush other caravans, intimidating grown men with rifles and taking what they please. . Children search for mines left over from wars past and sing songs of prayer for the wars and invasions that afflict Afghanistan to end. Other Afghans mine the treasured lapis lazuli deep in the mountains using the explosives that children dig up, and they must carefully trek up and down the mountainside with fearful donkeys. U.S. troops fire machineguns into the trees against—whom they say are—radicals who pose a threat to Afghan security and to Afghan children. Afghan troops observe the Americans in action. The two groups of soldiers exude start differences, though—the Americans shoot ammunition and swear; the Afghans work out and play board games. Shot on 16-mm. film, The Land of the Enlightened treats us to Afghanistan’s breathtaking landscapes. Much of them reminded me of Utah in many scenes, and one man refers to the scene’s location as a mountain desert. Children don traditional clothes, the boys wearing grey and fur-lined hats and the girls wearing lovely, pink, seemingly silken headscarves. Women teach girls how to gather vibrant poppies in fields that are stunning to view on film. A voice narrates Gholam Nasir’s thoughts of marriage and becoming rich from raids, which likely imparts the fictional elements that De Pue grafts into this cultural portrait. The languages in this film are beautiful to listen to, which was a great choice. It was difficult to read the small, white subtitles onscreen while some much gorgeous cinematography was before my eyes (they might have been more effective in yellow, but I’m not complaining). The Land of the Enlightened succeeds in bringing to light the desire for Afghans to control their own destiny. The narration relates the legacy of invasion of Afghanistan, first perpetrated by Genghis Khan, which has persisted to the present day. One U.S. soldier, who seems frustrated and—probably because of this—speaks somewhat pedantically to men gathered in front of him, describes the dangers of the shadows in the mountains, who await he U.S. to fully pull out in order to attack innocent civilians. With a translator, he asks if they’re with the U.S.—whom he declares are their brothers and cousins and “guys they know”—“yes or no?” The room stays silent with no response. Gholam Nasir listens to translated speeches from Barack Obama about the deferred U.S. pull-out date, and he and a counterpart express their anticipation of that day. This documentary effectively depicts some of the real world in which Afghan people live, and the fictive dynamics add some fun flavor. The narration that bespeaks Afghanistan’s history functions similarly to parables that guided me to get sense of how Afghans see themselves as a country/nation and the anxiety’s with which they cope in light of continued U.S. presence. 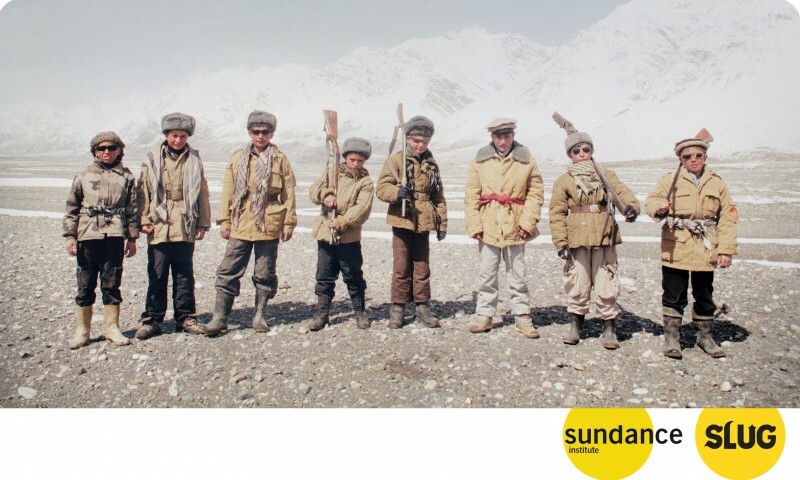 Even amid the rugged lifestyles the people lead in the film, The Land of The Enlightened elegantly captures these cultural phenomena and educates by highlighting its subjects’ humanity.